Anderson Cooper's intensely busy career as a journalist for CNN and CBS' 60 Minutes affords him little time to spend with his ninety-one year old mother. After she briefly fell ill, he and Gloria began a conversation through e-mail unlike any they had ever had before—a correspondence of surprising honesty and depth in which they discussed their lives, the things that matter to them, and what they still want to learn about each other. 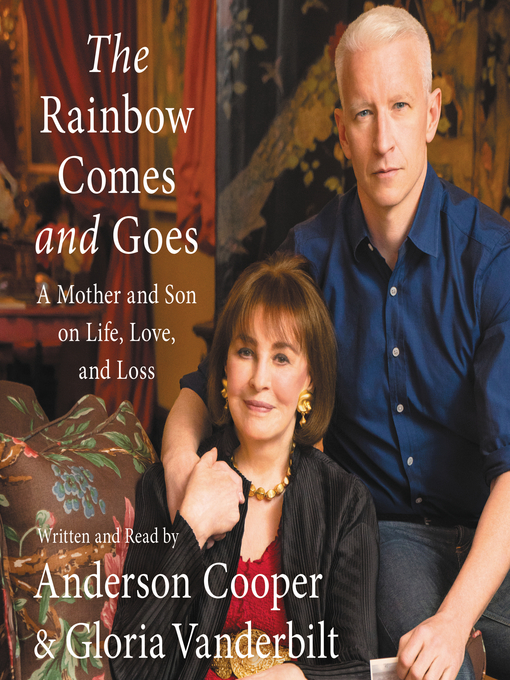 Both a son's love letter to his mother in her final years and an unconventional mother's life lessons for her grown son, The Rainbow Comes and Goes offers a rare window into their close relationship and fascinating lives. In these often hilarious and touching exchanges, they share their most private thoughts and the hard-earned truths they've learned along the way. Throughout, their distinctive personalities shine through—Anderson's darker outlook on the world is a brilliant contrast to his mother's idealism and unwavering optimism.